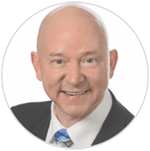 JB Glossinger is a motivational keynote speaker known for his authentic speaking style and connection with the audience. If you are looking for someone to deeply connect with your audience and make your event a stellar success, his keynote will bring energy, authenticity, and massive takeaways. With an MBA, a Ph.D. in Metaphysics, extensive sales experience, plus hard won street smarts, JB Glossinger can bring an exclusive topic for you and your event. Or you can pick one of JB’s topics that he has delivered over the years. He will bring energy and make your event a success. Known for his daily CoachCast with over 3500 episodes and 26 million downloads, JB has motived people all over the world for the last 15 years. He has helped countless people get organized, focused, and become their best self. Bring JB in as your keynote speaker and help your audience become inspired to be the best they can be.